Coral Springs Code Enforcement has removed ALL signs from the Broward early voting location at the Coral Springs library. According to City sources, someone supporting Stacy Ritter’s campaign complained about one of Robert “Bob” Sutton,her opponent, signs. Code enforcement decided to remove all campaign signs including expensive “FORWARD” banners purchased by Obama For America Florida. 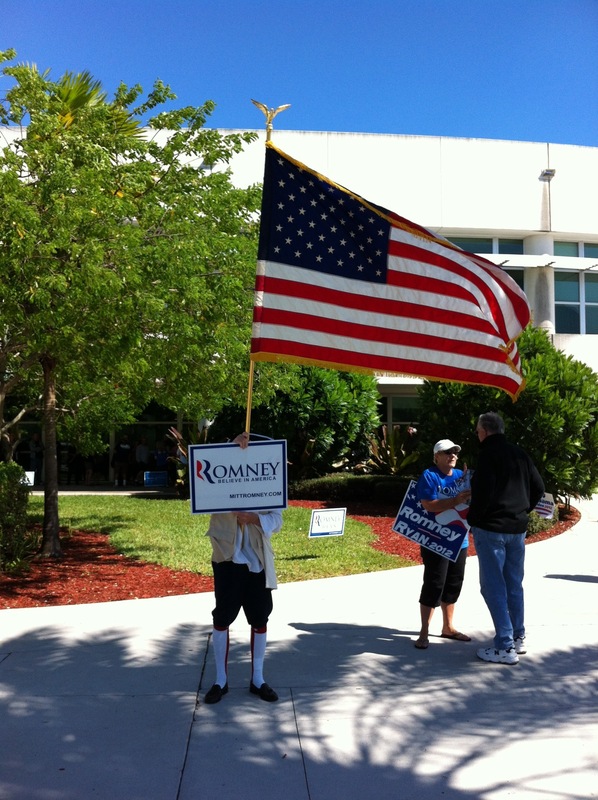 Earlier this morning, Coral Springs Police stopped the distribution of “Obama Voting Guides” inside the library itself. Next Next post: Abby Freedman Making Outlandish Claims At Early Voting Site?